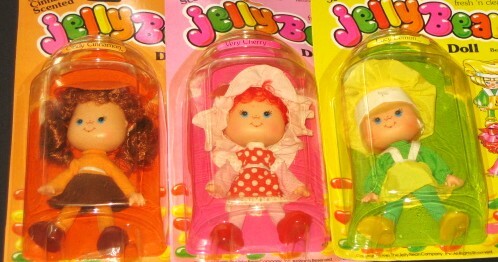 Choose 1 or More While Supplies Last! 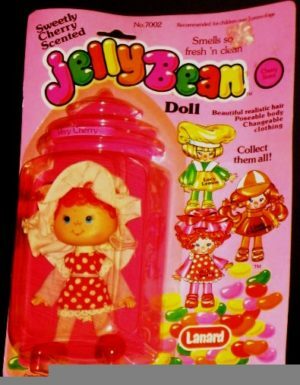 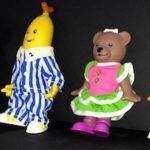 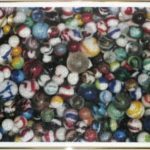 JellyBean dolls were put out in 1981 by Lanard Toys. Altogether, three different dolls complete this vintage collection. 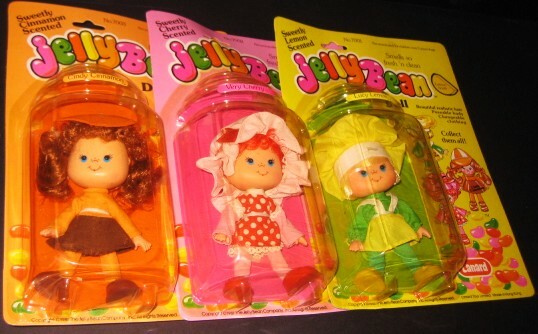 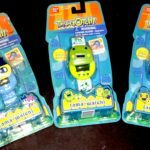 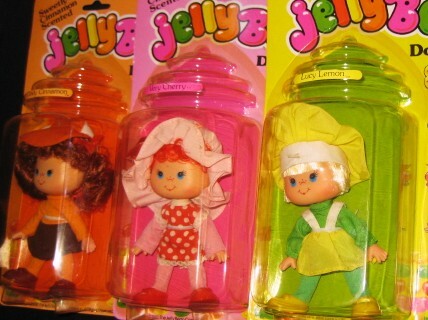 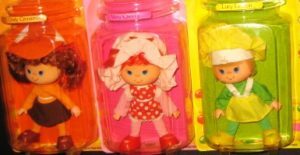 The three dolls include Very Cherry, Lucy Lemon, and Cindy Cinnamon. 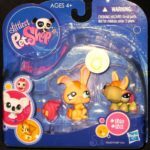 Each doll comes enclosed in packaging shaped like a baby bottle. 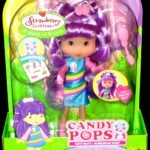 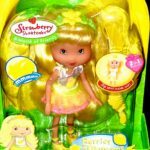 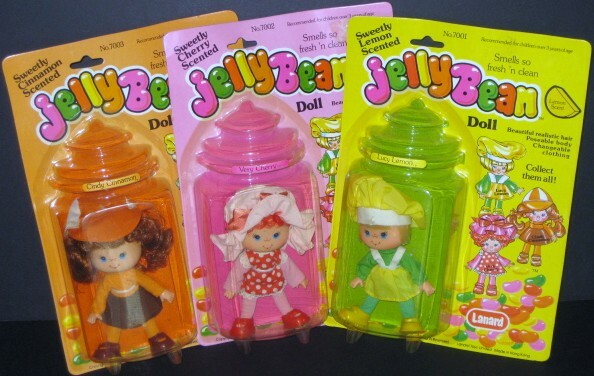 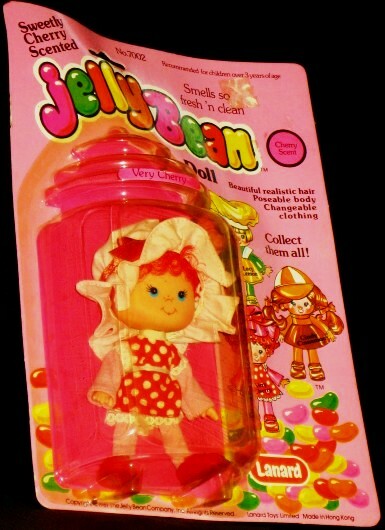 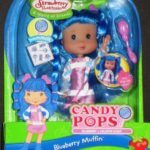 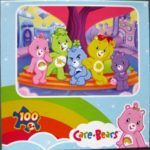 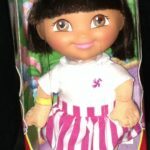 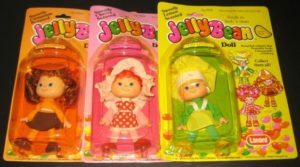 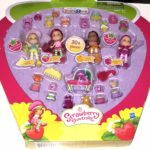 JellyBean dolls may remind collectors of Strawberry Shortcake dolls because of their delectable scents. 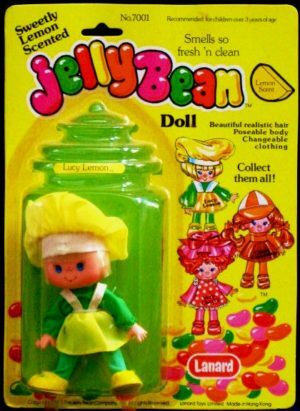 For this reason, as her name suggests, Lucy Lemon has a sweet lemony aroma. 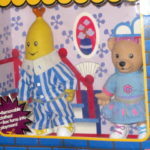 Lucy Lemon wears a green long-sleeve outfit that is covered with a yellow and white apron. 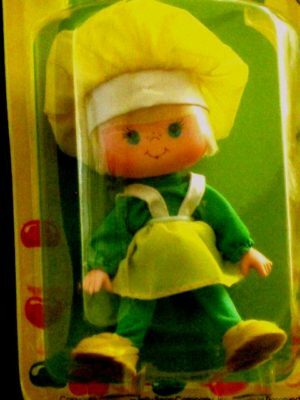 She also wears a yellow and white bonnet and yellow shoes. 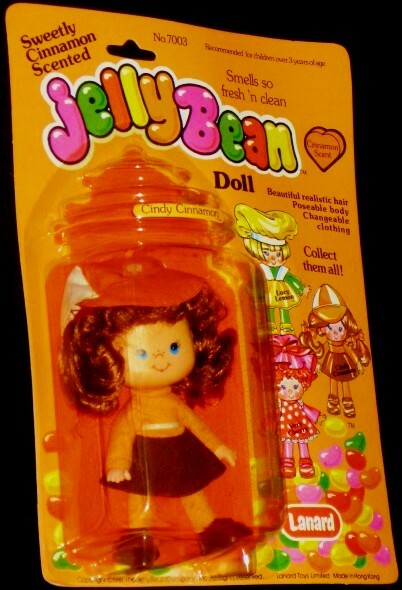 She stands about 4-1/2 inches tall, is poseable, and her clothes and shoes are removable. 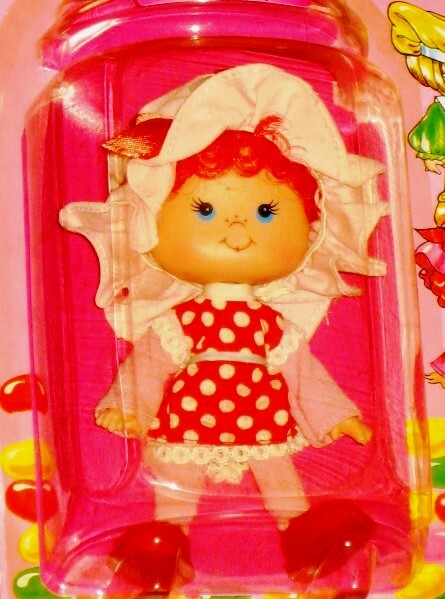 Very Cherry sports a red and white cherry decorated outfit, a matching bonnet, and red shoes. She stands about 4-1/2 inches tall, is poseable, and her clothes and shoes are removable. Very Cherry has a sweet cherry scent. 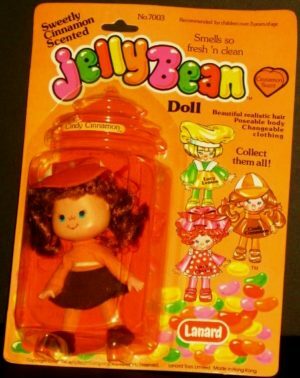 All of these vintage dolls come are put out by Lanard in 1981. 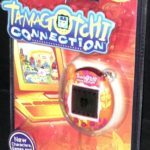 They are sealed to their original cards; and although the packaging shows a bit of shelf wear, the packages have never been opened. Cindy Cinnamon is decked out in a cinnamon colored brown skirt that is accented with an orange blouse and cap. 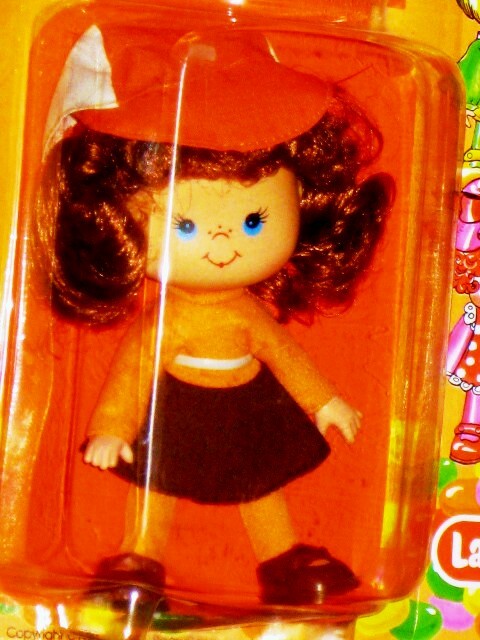 She wears brown shoes and has shiny cinnamon colored hair. 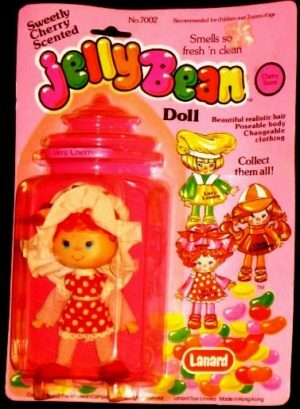 As with her JellyBean sister dolls, she stands about 4-1/2 inches tall, is poseable, and comes with removable clothes and shoes. 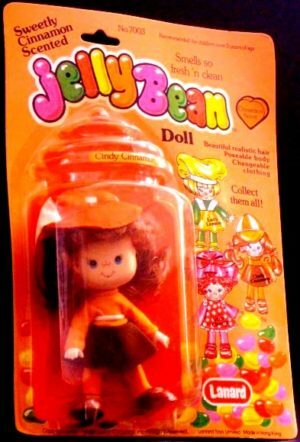 Cindy has a sweet cinnamon aroma.